Designed with cutting-edge, 'white hot' and 'black hot' thermal technology, the Pulsar Apex 2.8x42 XQ50 Thermal Riflescope offers precision placement more than 1,700 yards. Long-distance viewing is made possible by the continuous digital zoom for an extended range of magnification. The thermal core resolution of 384x288 captures a more detailed image, while the crisp AMOLED display and high 50 hz frame rate delivers a consistent, vivid image of faster-moving objects. 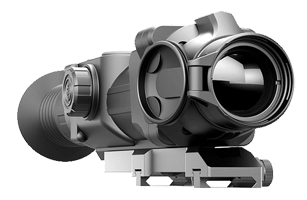 The Apex XQ50's 4x digital zoom offers a continuous digital zoom for an extended range of magnification. The picture-in-picture digital zoom displays a magnified picture of the reticle's aiming point at the top of the screen. This magnified picture of the reticle is ideal for precision aiming while the peripherals of the display maintain the base magnification for a wide field of view, for quick, consecutive follow-up shots. Its one-shot zeroing and freeze function takes an image of the target to quickly zero the crosshairs to the firearm's point of impact. 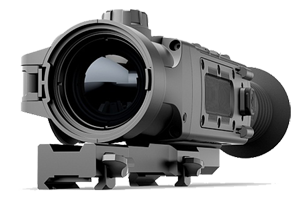 The XQ50's popular "white hot" and "black hot" modes, 13 digital reticle options and 50Hz refresh rate provide users with fluid imaging, customized thermal mapping and a richly contrasted field of view. IPX7 waterproof, fogproof and dustproof, the Pulsar Trail XQ50 performs flawlessly in temperatures ranging from -13° to 122°F and delivers ultra-easy user interface with ergonomic button locations. Capturing footage of your experience has never been easier with built-in video recording, 8gb of internal memory, rich 17µm 384x288px resolution, a frost-resistant 640x480 AMOLED display and Stream Vision App compatible Wi-Fi. Proprietary picture-in-picture (PiP) ensures repeatable, precision accuracy. Additional features include a built-in accelerometer, stadiametric rangefinding, rechargeable 8-hr. battery pack, convenient carrying case and wireless remote. Thermal imaging is one of the best ways to broaden the limits of the visible world and Pulsar is one of the leading manufacturers of night vision and thermal optic devices on the hunting, outdoor and security market. 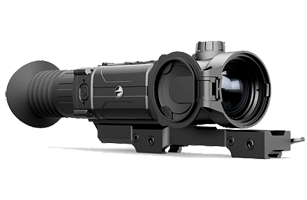 The brand Pulsar belongs to the company Yukon Advanced Optics Worldwide JSC. Yukon has more than 25 years' experience in producing optic devices for the hunting and outdoor market. Manufacturing of night vision devices is a complicated process that involves not only the knowledge of optics but also the knowledge of electronics and other fields. Pulsar products are distinguished for their high technological level, image quality and numerous professional features.